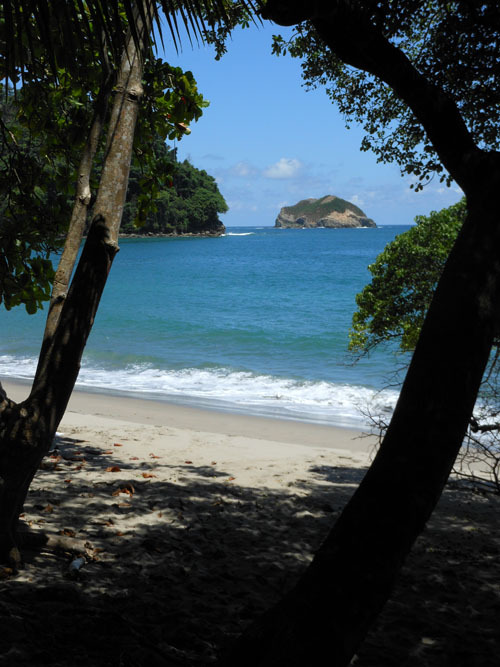 During our stay in Quepos we decided to visit the National Park of Manuel Antonio. 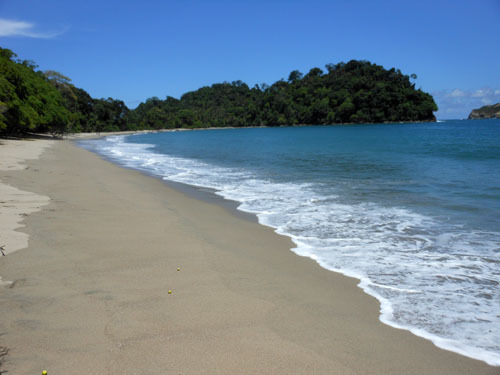 I had visited the park 6 years ago when I had spent some time in Quepos and was keen to see it again. 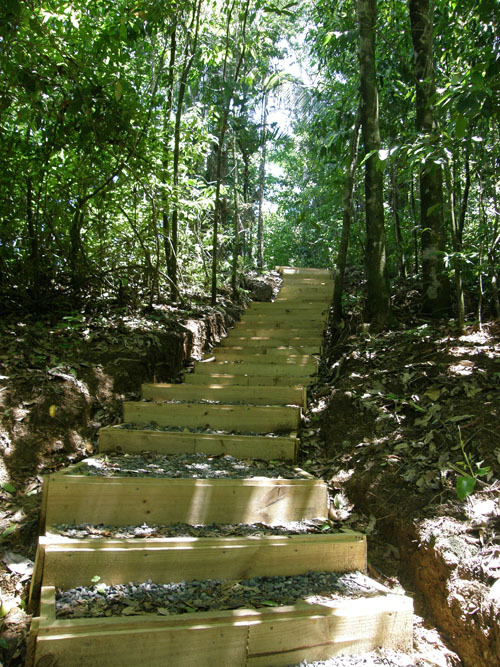 The park has obviously greatly improved in terms of trails, signs and the facilities available like showers and toilets. We did almost every trail available taking in most of the park which took us until 12.30. It can get quite hot in the late morning and despite being in the shade for most of the walk we still managed to slightly burn our exposed shoulders, which we did not expect. The main difference I noticed between now and before was the distinct lack of wildlife. 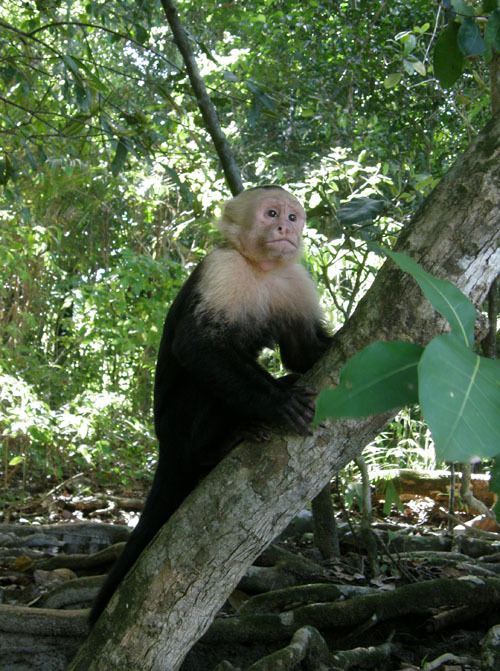 We did get lucky and come across a family of white face monkeys crossing on one of the trails, but apart from that we rarely saw any other animals. Whereas 6 years ago there had been monkeys in virtually the whole park jumping through the trees screeching at each other, along with lots more birds and giant iguanas all over the beach. 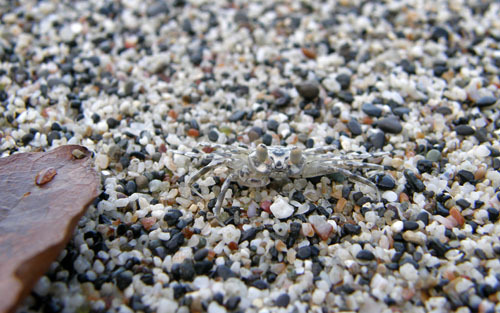 Can you see the crab? The beaches were still as beautiful as I remembered them but we were unable to make the most of them as they had changed regulations and you were not allowed to re-enter the park if you decided to go out. As we had no lunch with us we had to leave and couldn’t come back in. I found this incredibly hard to believe as surely they could just stamp you in and out and allow you to fully enjoy the day at the park. So unfortunately after we had lunch we had to instead content ourselves with the public beach which unfortunately is not as calm to swim in.